250 GPH Pond Pump with Fountain Nozzles Reliable, powerful and efficient; ideal for use in small to medium sized ponds (Up to 375 Gallons). Kit includes: 250 GPH energy efficient pump, pre-filter, 3/4" output, diverter with dual flow control, 3 extension tubes with coupler, 3 spray nozzles: Bell, Tiered and Trumpet. 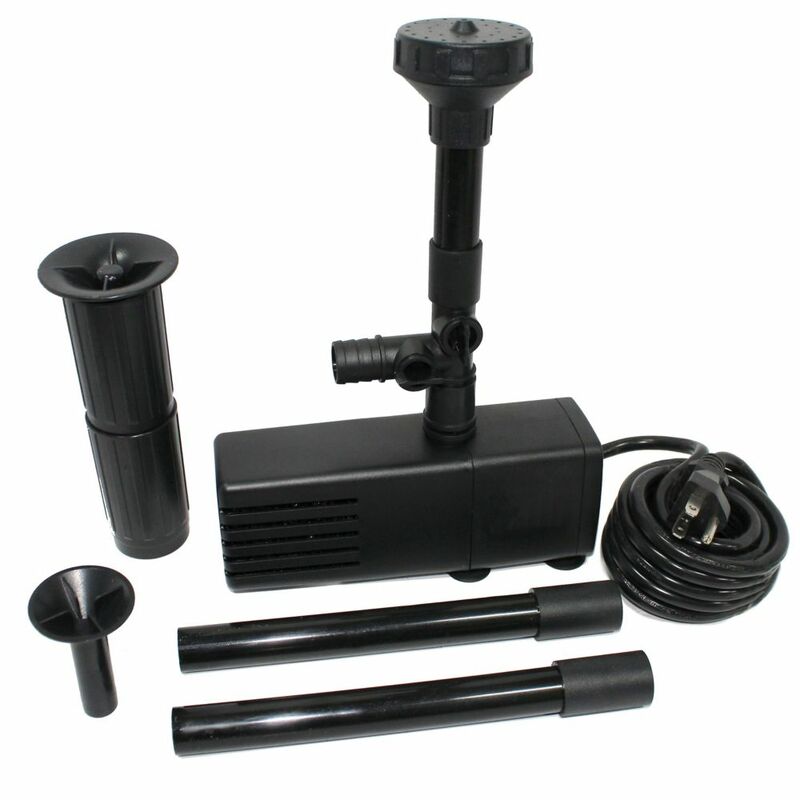 250 GPH Pond Pump with Fountain Nozzles is rated 5.0 out of 5 by 2. Rated 5 out of 5 by Linda from Wonderful little fountain for a small patio pond We didn't want the water in the pond to get stagnant and breed mosquitoes. This does the trick and makes it look so beautiful. Rated 5 out of 5 by Nelleke from Pump for small pond Great pump with different nozzles. The filter needs to be cleaned every week.